With Chinese New Year around the corner, the Chinese community would be very busy doing shopping for the Chinese New Year. For Chinese New Year decorations, you can find it being sold in almost any market. Whereas for Chinese New Year cookies, those sold in hypermarkets like Carrefour, Tesco or Giant or at wholesale shops tend to be mass produced and less fresh. Reason being is that these cookies had to be prepared probably months in advance. The best place to find these cookies is to visit the local market and buy it from a hawker who made the cookies themselves. If you buy through recommendations, then it would usually be fresh and delicious. 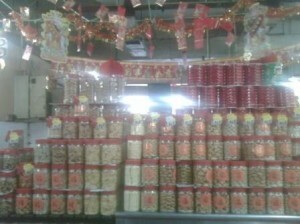 This stall has been selling CNY cookies for a few years-usually about one or two months leading on to CNY. It’s usually open only in the morning till about almost noon- since this section is the morning to lunch section hawkers. 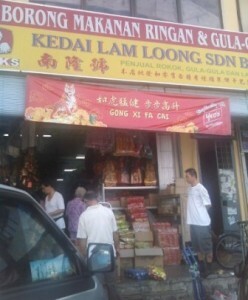 I’ve spoken to the seller and according to her, it is opened 7 days a week till the eve of CNY (13 Feb). 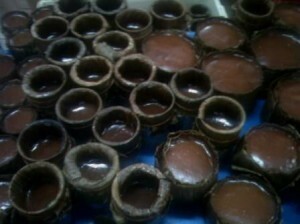 Above is the samples- they allow free sampling so that you get to taste to see if you like it- no obligations. Since this is passed down from ancient practices, older folks still continue this practice. While you are in the area, you can walk over to the wholesale shop that is selling sweets, biscuits and junk food. 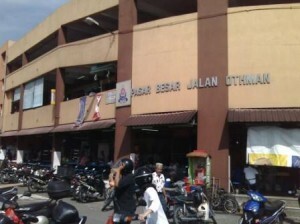 From the market, you can see the traffic light (intersection with the bus station). The shop is located about 2 doors away from Public Bank and it is closed on Sundays, if I am not mistaken. Usually if you need to buy packets of sweets, you can get from here in wholesale price. Few years ago, I bought items from this shop and pack it into mini hampers to distribute to a hospital during Christmas day. 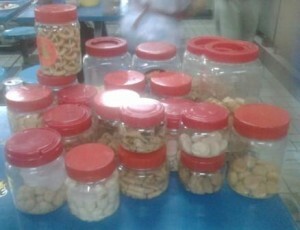 The items are not exactly cheap but probably cheaper than hypermarkets if you buy in bulk. But don’t buy the new year biscuits from shops like this because as I mentioned earlier, these biscuits are generally baked earlier and probably have more preservatives in them to last longer.